Hey there blog buddies! 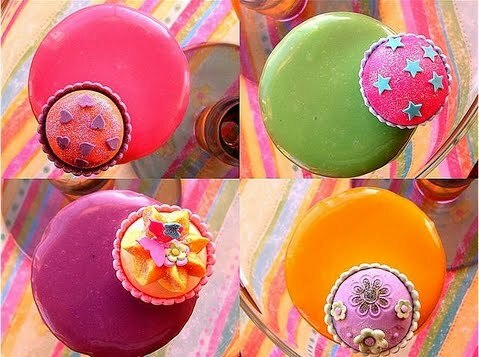 :) It's time for Cupcake Inspiration Challenge #74...woot woot! 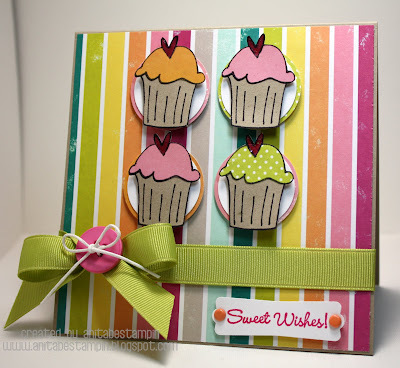 This week's challenge is sponsored by In Style Stamps, and they have provided the CIC Sweeties with digi images to play with. Thanks ISS! The colors in the inspiration piece are some of my favorite colors to use. I love bright and cheery colors. What can I say!?! LOL I also based my card on Mojo Monday sketch #153. I sure hope you like it! Yum! Love your card. The colorful striped paper is perfect for the inspiration photo. Great job using the Mojo Monday sketch as well.